WASHINGTON, DC — The Islamic State (ISIS/ISIL), al-Qaeda, and Iran’s narco-terrorist proxy Hezbollah maintain a presence on the Western Hemisphere and present an “immediate threat” to the region, a top U.S. commander told lawmakers on Thursday, warning that the jihadi groups could use drug trafficking routes in Latin America to infiltrate the United States. Established drug trafficking routes and techniques provide opportunities for the illegal movement of other commodities and people—including terrorists. Several years ago, the Islamic State in Iraq and Syria (ISIS) dedicated an article to a scenario in which its followers could leverage established trafficking networks to make their way to our border. This remains a potential vulnerability we watch as closely as we can. Faller’s comments are part of SOUTHCOM’s annual posture statement, presented by the admiral to the Senate Armed Services Committee on Thursday in the form of written testimony. SOUTHCOM is responsible for overseeing U.S. military activities in most of Latin America and the Caribbean. In the statement, Faller listed violent Islamic extremist groups as a top “immediate threat” facing his area of responsibility (AOR) along with drug cartels and activities by U.S. rivals like Russia, China, and Iran. Groups like Lebanese Hezbollah, ISIS, and al-Qaida operate [in Latin America and the Caribbean] wherever they can garner support, raise funds, and pursue their terrorist agendas. ISIS and other groups have demonstrated their ability to inspire and recruit violent extremists to plan attacks in South America and the Caribbean. While SOUTHCOM’s posture statement has repeatedly mentioned the ISIS and Hezbollah threat in recent years, the latest report is the first one to note the al-Qaeda menace. U.S. officials and independent experts from the Foundation for Defense of Democracies (FDD) and other organizations have linked al-Qaeda, particularly its North African branch, to the drug trade in Latin America. A Syrian Kurdish leader recently told Breitbart News al-Qaeda is making a comeback in the Middle East. According to Adm. Faller, Latin American and Caribbean governments are concerned about the return of battle-hardened terrorists who traveled to the Middle East in recent years to engage in jihad on behalf of ISIS and other terrorist groups. 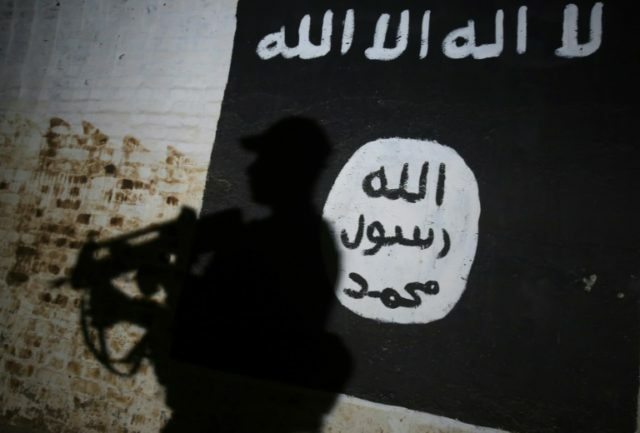 “While the travel of foreign fighters from Latin America and the Caribbean to Iraq and Syria has diminished, the potential return of battle-trained extremists remains a threat,” Faller declared in the statement. In early 2017, the Associated Press (AP) revealed that up to 125 jihadists and their relatives traveled from the Caribbean island nation of Trinidad and Tobago to join ISIS in the Middle East, making the country “the largest per-capita source” of recruits for the jihadist group in the Western Hemisphere. On Thursday, the top U.S. admiral highlighted the potential danger associated with human trafficking groups in Latin America that specialize in smuggling illegal migrants from terrorism-linked countries in Africa, Asia, and the Middle East, known as Special Interest Aliens or SIAs. “Another potential threat is posed by smuggling networks that move Special Interest Aliens from East Africa, the Middle East, and Southeast Asia through the hemisphere to attempt entry into the United States,” he said. Latin American authorities are known to work with their U.S. counterparts to counter networks dedicated to smuggling illegal migrants into the United States from terror-linked countries. Authorities have found Hezbollah to be affiliated to the drug trade in Latin America, which Adm. Fuller described as a national security menace, noting that overdoses in the United States killed nearly 70,000 people in 2017 alone, the latest year for which data is available. For years, SOUTHCOM has warned against the presence of Iran and its Hezbollah proxy in Latin America. Iran is also looking to reenergize its outreach after reducing its efforts in Latin America and the Caribbean in recent years. It has deepened its anti-U.S. influence campaign in Spanish-language media, and its proxy Lebanese Hezbollah maintains facilitation networks throughout the region that cache weapons and raise funds, often via drug trafficking and money laundering. To secure approval of the controversial Iran nuclear deal, former U.S. President Barack Obama’s administration “derailed” a Drug Enforcement Agency (DEA) operation targeting Hezbollah’s multi-million-dollar drug trafficking activities in Latin America, Politico reported at the end of 2017. U.S. President Donald Trump pulled the United States out of the Iran nuclear deal and has stepped up operations against Hezbollah in Latin America. Despite the threats, U.S. Senators and Adm. Faller acknowledged that SOUTHCOM is one of America’s most under-resourced unified combatant commands established in different regions of the world. SOUTHCOM is working with countries in Latin America and the Caribbean to combat the terrorist threat in the region, Faller asserted.